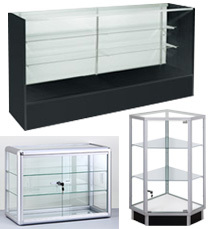 At Specialty Store Services we stock a wide variety of Showcases and Counters for all your retail checkout and displaying needs. 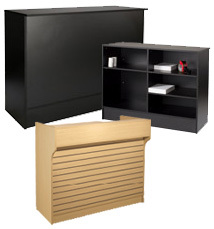 Ready to assemble Showcases and Counters save you money on shipping but we also offer most of our Showcases and Counters fully assembled for your convenience. Check out our line of popular Lighted Showcases. Shop with confidence because we stand by all our products and offer you wholesale pricing with a 100% satisfaction guarantee.